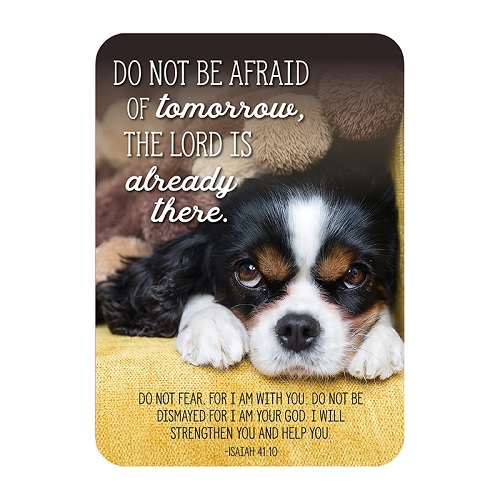 Our Christian baby gift catalog features religious nursery decor, wall plaques and more. 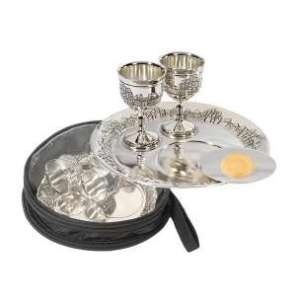 Christian baby keepsakes like baby bonnets and Heirloom Baby Bibles. Baby to Bride keepsakes feature headbands and keepsake Bibles. Religious musical bears and Christian stuffed animals that recite prayers and songs are always great to give as gifts. Our Christian jewelry catalog features Christian jewelry including Christian necklaces with religious symbols and inspirational bracelets with Scripture. The Christian jewelry in this catalog is manufactured by Cross Gifts, Swanson Christian Products, Spirit and Truth Jewelry and more. We carry Christian bracelets for men, women, and children. 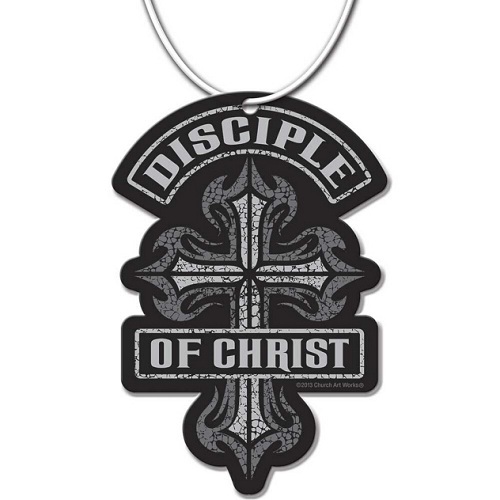 Our Christian necklace themes include masculine and feminine designs along with Christian sports themes and Christian dog tags. Our Christian jewelry catalog also features inspirational lanyards, silicone wristbands, Christian tie bars and religious lapel pins. 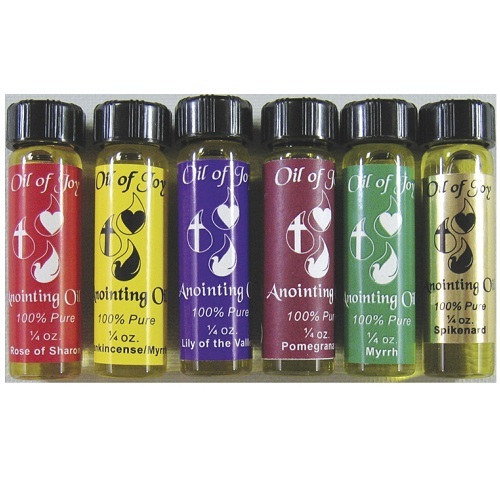 We are adding more products to our Christian jewelry catalog so please check back. 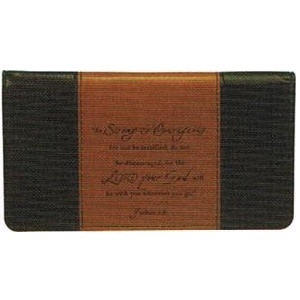 Sunday school resources and childrens ministry supplies can also be found in our church supplies catalog. 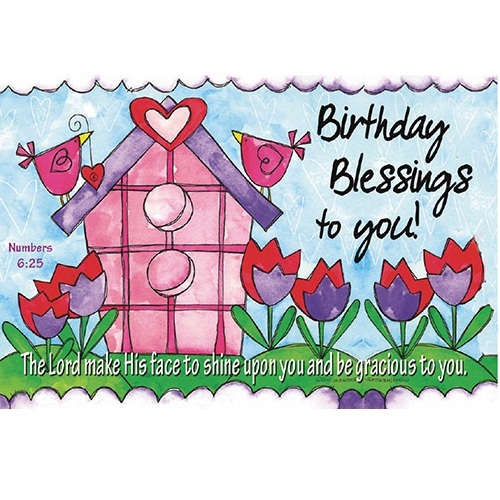 We carry Sunday School attendance charts and Christian stickers to go with them. 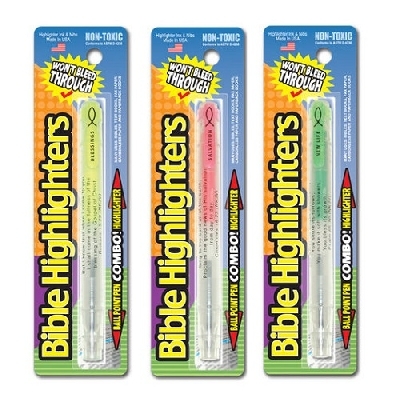 Christian pencils and pens can be found in our school supplies catalog. 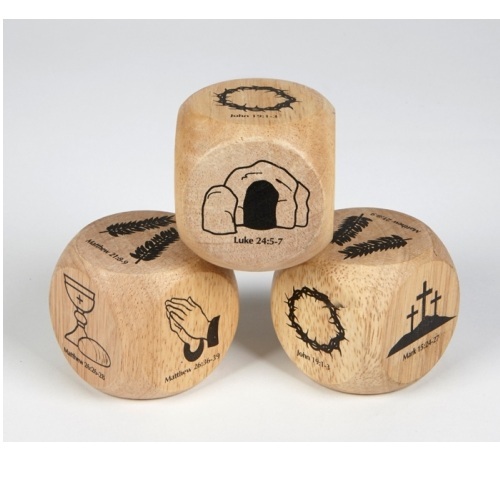 This selection of Christian stationery products includes Christian stickers, Christian notepads, religious pens and pencils and boxed Christian prayer cards. 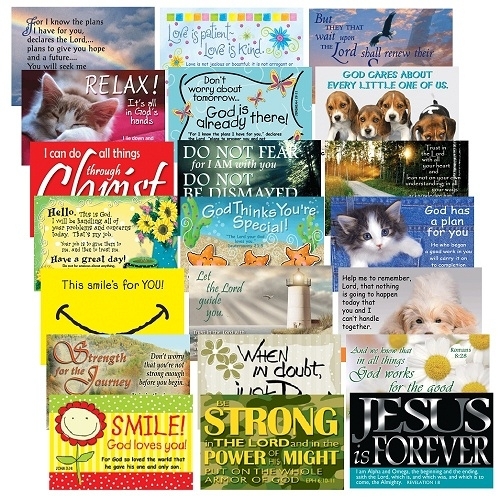 We also have religious postcards and Christian stationery items sold in bulk for savings. 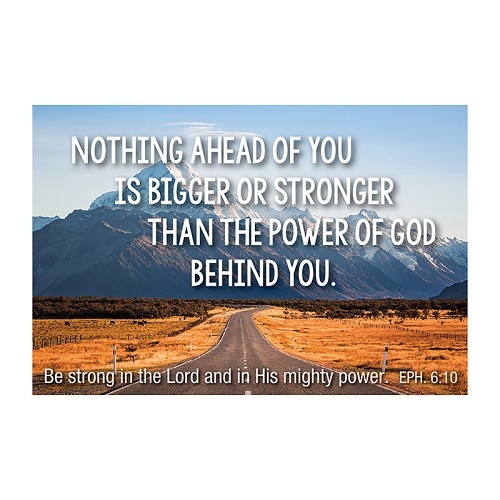 Pass It On Message Cards by Universal Designs / Argus are small 2" x 3" cards with inspirational messages and Scripture printed over full color designs available in a variety that appeals to adults, kids and teens. 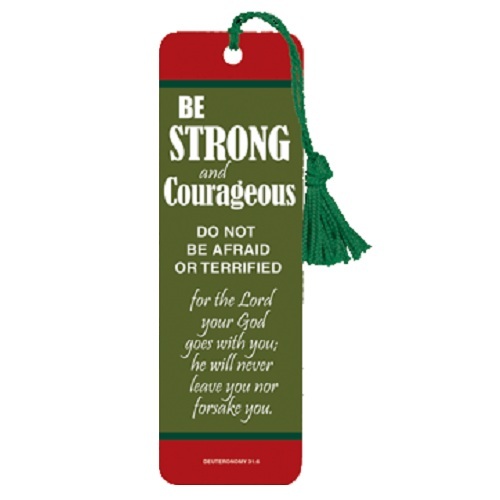 Hand these Christian message cards out to family and friends to share encouragement and faith. These Pass it on Message cards will fit in a wallet where business cards are kept or can be placed in a small acrylic frame for desktop display or inserted in an acrylic keychain frame. Pass it on Message cards are great conversation starters. 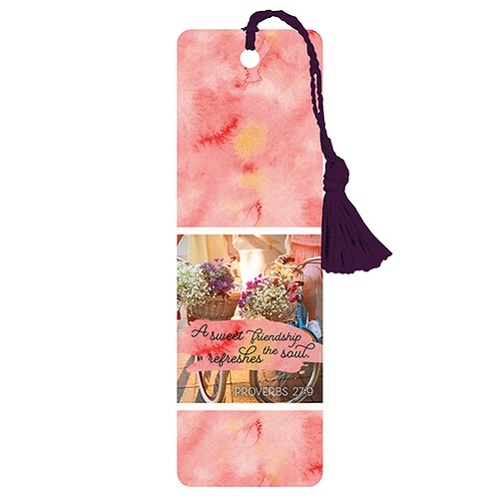 This catalog also includes acrylic giftware for Pass it on Message cards that will turn your message cards into an inexpensive but meaningful gift like a custom keychain or framed card for tabletop display.